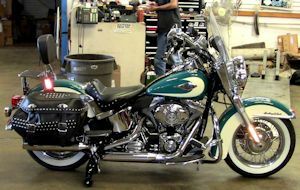 LegUp by Chopper Design - Harley Heritage Softails! Do you sometimes have difficulty managing your bike at slow speeds? Backing up? With a rider? Many do! That is why we came up with LegUp™ LandinGear! The Patented LegUp™ design was created for those who for whatever reason are concerned about, or unable to hold up these 850 lb monsters as they come to a stop. Older riders, bad knees, bad hips, bad passengers (couldn't resist! ), or any other reason someone might want a little help keeping the rubber side down... This will do it! 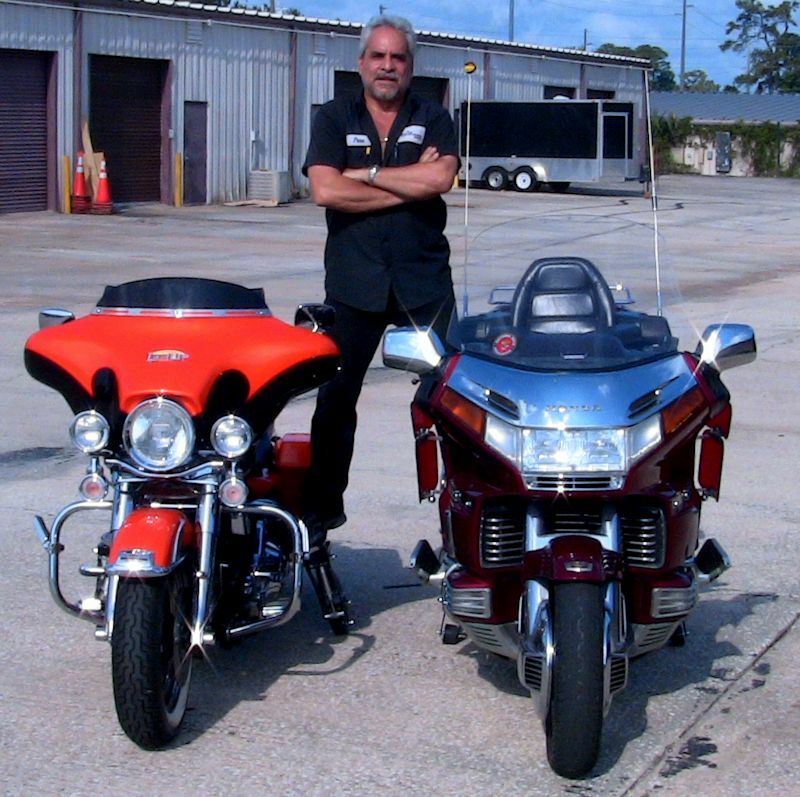 Our unique retractable stabilization system can help many riders stay on their bikes rather than giving up the sport they love, or resorting to a trike. Using a computer and a pair of pneumatically controlled wheels, LegUp™ deploys these wheels (if desired) as you slow to around six MPH, and automatically retracts them if you accelerate over that speed. Over ten years ago, Chopper Design introduced the original LegUp™ LandinGear system. Since then, thousands of riders have been helped by it's ability to stabilize their bikes at slow speeds. The GENERATION II system we use today is significantly stronger than it's older brother. An on-board compressor and a captive air tank, makes this system amazing to watch! The wheels deploy and retract based on wheel speed; with the .25 second deployment time, we are able to bring the wheels down at a very slow speed (5-6 MPH). 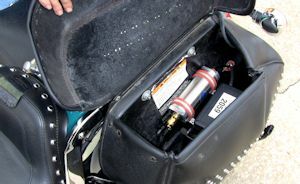 The onboard computer controls everything, and a Handlebar switch housing with LEDS allows the rider to communicate with the system and allows the system to talk back! 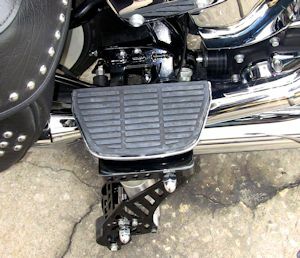 One of the most difficult aspects of design of the GEN II system for Softails was that that rear floorboards, which we mount our systems to typically, don't exist on the Heritage. We designed an ingenious method to use the footpeg mounting points to create a floorboard mount and even include a set of chrome floorboards with the system! 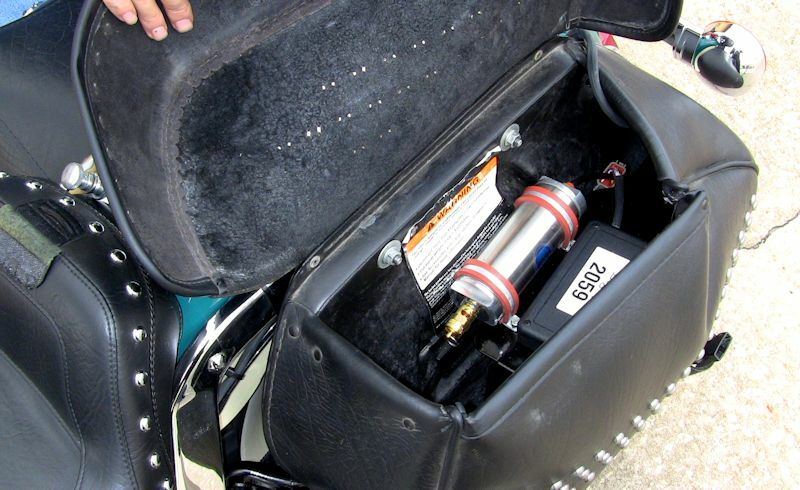 The wheels are mounted under these new rear floorboards, and tuck up neatly just in front of the bags when not deployed, allowing the bike to be leaned and handle exactly as it always has. You can't do that with a trike or other hokey outrigger systems. The installation Requires no major modifications to the existing bike at all !! Our GENII system is in full production NOW for the Harley Heritage Softails. Pricing for this system is $150 more than others due to the floorboards that are included as well as the extra machining required to create the floorboard mounts. 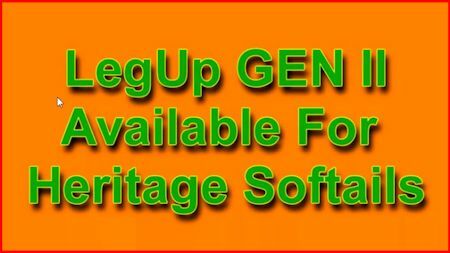 We will ship the GEN II system to your door for $3,650, and we are averaging about a 3 week wait! 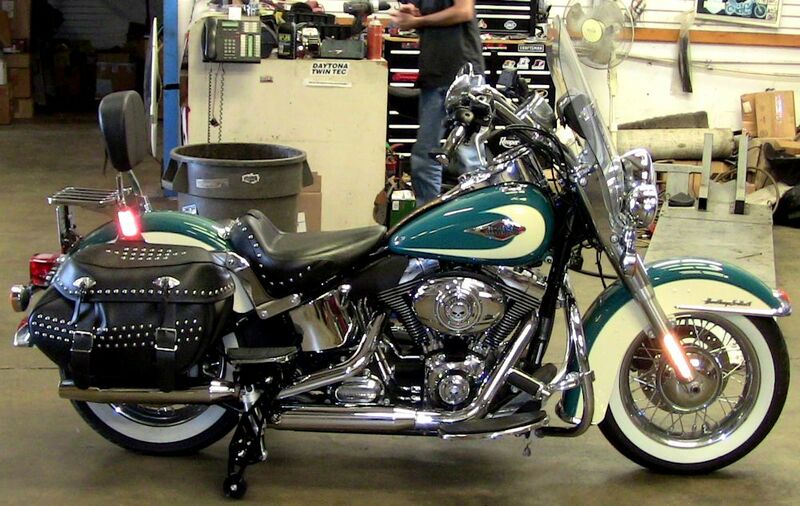 If you would like, take a look at our Users Manual, or HD Heritage Softail Install Manual. 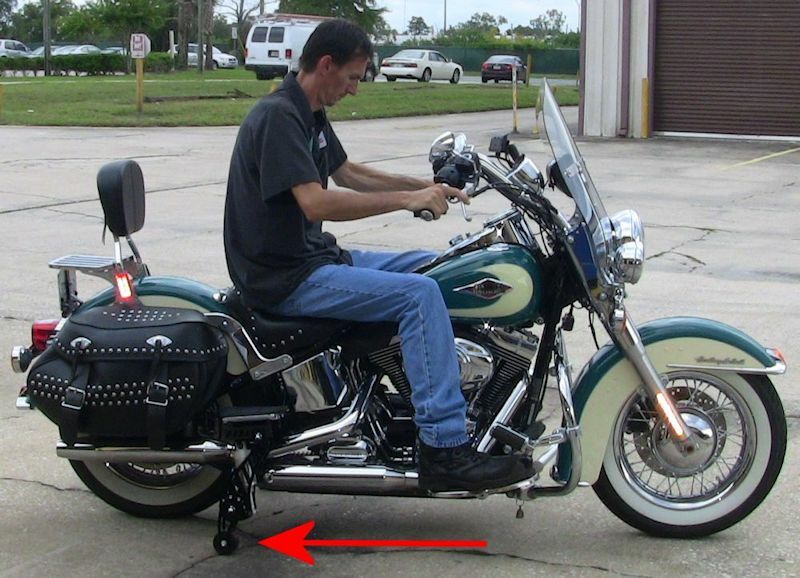 PLEASE NOTE: This system is designed for Heritage Softail models that are STOCK! The bike cannot be lowered and it fits with stock pipes only. Accessories such as Rear crash bars DO NOT work! 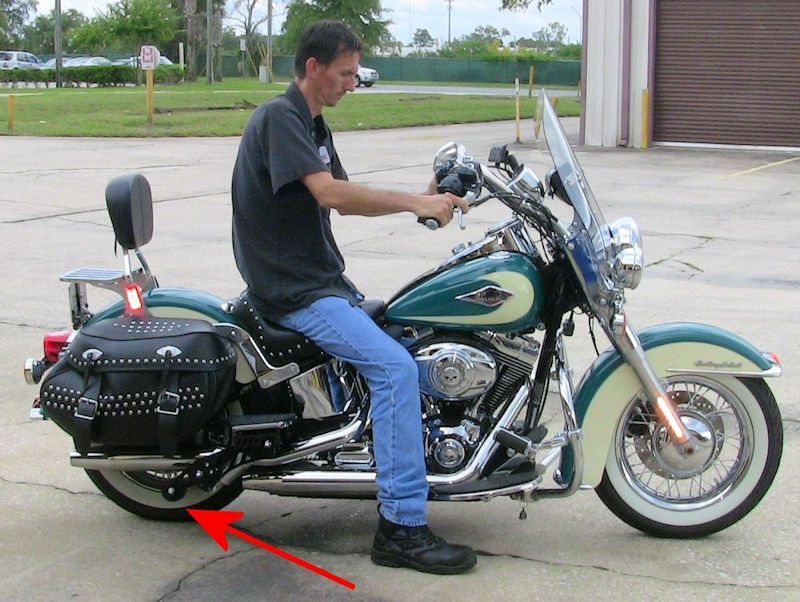 Some deviations from stock may work, and some other Softail models may be able to use this system with some caveats. Any deviations from Stock Heritage models, or fitting this to other Softails, must be discussed with Chopper Design before processing an order. Thanks! Please contact us with any questions at 407-834-5007 or Info@landingear.com.